With limited budgets, but constant action, school playground equipment needs to be built to withstand the test of time, not to mention the British weather. 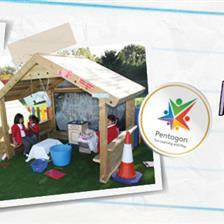 Schools require innovative, creative outdoor space to enhance the learning of their students. Children need resources that engage their imaginations and challenge their problem-solving skills. They need opportunities to develop their communication and social skills, as well as the chance to exercise, experiment with movement and improve their motor skills. With all of this activity going on, outdoor spaces need to be resilient to avoid wear and tear. Decision-makers only have limited finances at their disposal, so it’s important to take durability and versatility into consideration when planning to invest in new playground equipment. Tyres are an excellent playground resource. Whether they’re laid out for hopscotch, stacked for climbing, rolled along the ground or used as plant pots, types are hard wearing and sturdy. Tyres can be easily integrated into the curriculum. Lessons that involve tyres can also help to develop motor skills in children. 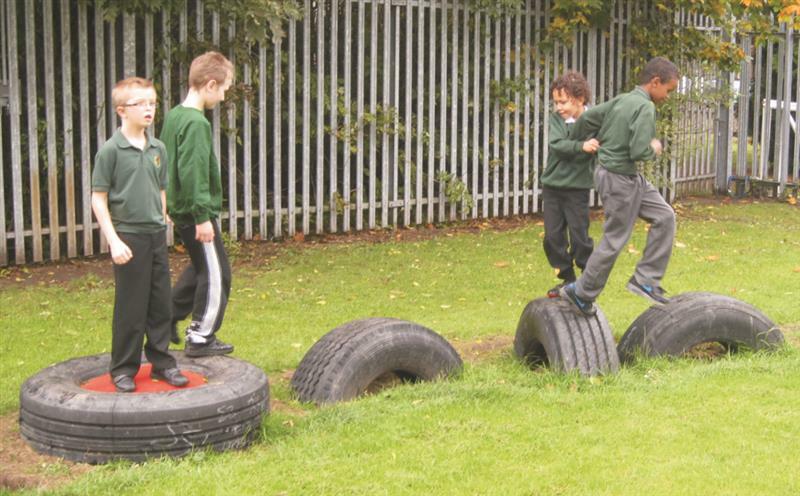 Tyres are useful for a number of cross-curricular activities, including science projects. For an exciting science lesson, fill the centre hole of a tyre with soil and plant some seeds. You can position the tyres in various sunny and sheltered spots around the schools to record the differences in plant growth depending on access to light and water. It is better to install new tyres so that there are no stray wires or nails. This way you can guarantee the safety of your children. Painting tyres with gloss paint is also a good idea, not only because they will look more child-friendly, but this will also prevent them from causing black marks. Children absolutely love playing with ropes. Make sure to discuss safe play with ropes to ensure that they won’t try and wrap the rope around themselves or their friends, and to avoid rope burns. Build rope bridges for a simple but fun activity. Loop ropes between two trees, one low down to be used as a tightrope and one higher up to be held onto for support. 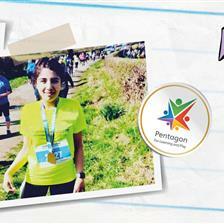 This activity is an excellent way to improve children’s balance and coordination. You may prefer to get an expert in to help you create a permanent solution, such as a Trim Trail. Solutions like this will be compliant with BSEN1176 and 1177 and will therefore have your children safety built in and guaranteed. 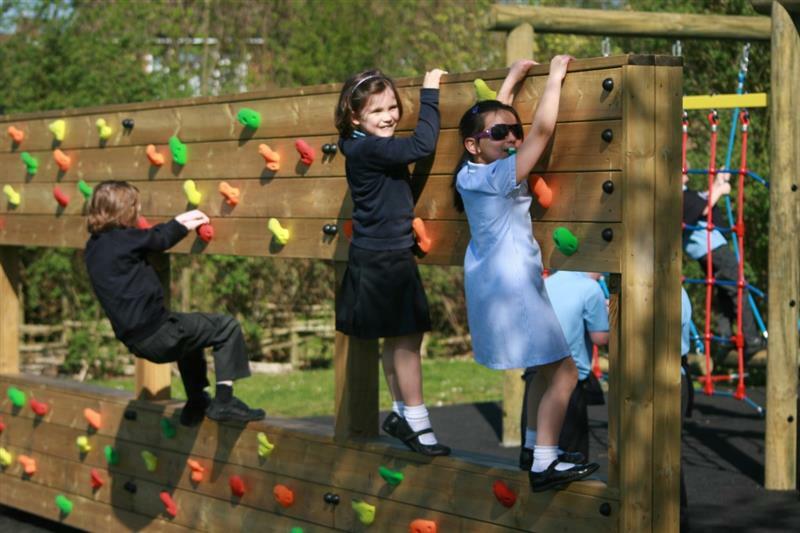 Trim trails are constructed using smooth wooden beams for children to balance on and high ropes to develop their upper body strength and core stability. See a video of one of our trim trails in action! Waterways transfer water across the playground like a miniature aqueduct. They are an excellent cross-curricular item to have in a playground, as they can be used to facilitate learning in both science and maths. Waterways can be used in conjunction with lessons about the water cycle or you can involve measuring jugs to see how much water can be transferred from one end to the other. Asking students questions like 'where is the water going?' 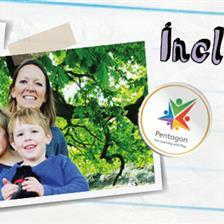 is a great way to get them thinking and talking. If your school doesn’t have a purpose built waterway in their playground, guttering can be used as an alternative. There are many different types of guttering, some of which can be easily snapped if jumped on, so try to choose a sturdier plastic and size. Let older kids get creative and build their own waterways in zigzag patterns. See our video of the waterway we installed at Oasis Academy Bank Leaze. Wetpour is a rubberised tarmac that is smooth, safe and extremely durable. 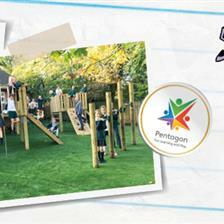 It’s one of the safest play area surfaces available because it has superb impact absorbing qualities. 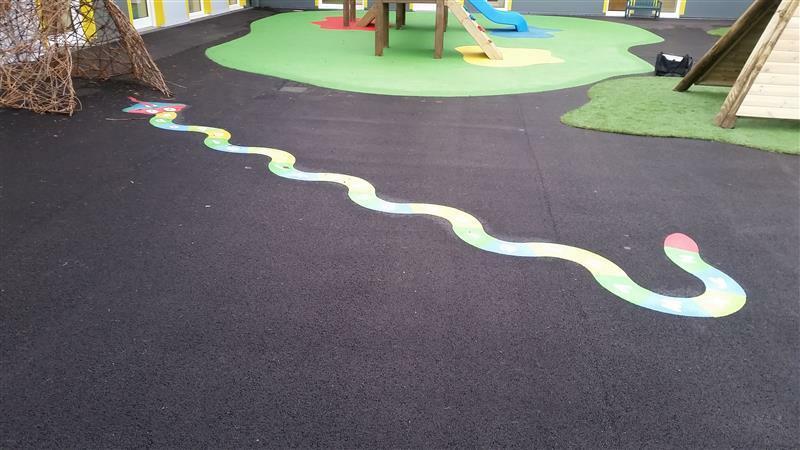 Wetpour surfaces come in a variety of different colours meaning you can design playgrounds that include numbers, letters, shapes and whatever else you can imagine! For maths, wetpour surfaces can be used for number hunts to help improve numerical skills. For literacy, try using a well-designed wetpour surface as a setting for stories and role plays. For instance, wetpour schemes with a pretend river running through it, could be used to recreate 'Billy Goats Gruff' should you want to! You can also use these surfaces to encourage safe but fun obstacle courses. Wetpour surfaces can be incredibly good outdoor learning resources that won’t fade over time. If you’d like to know more about wetpour surfaces, download our brochure. 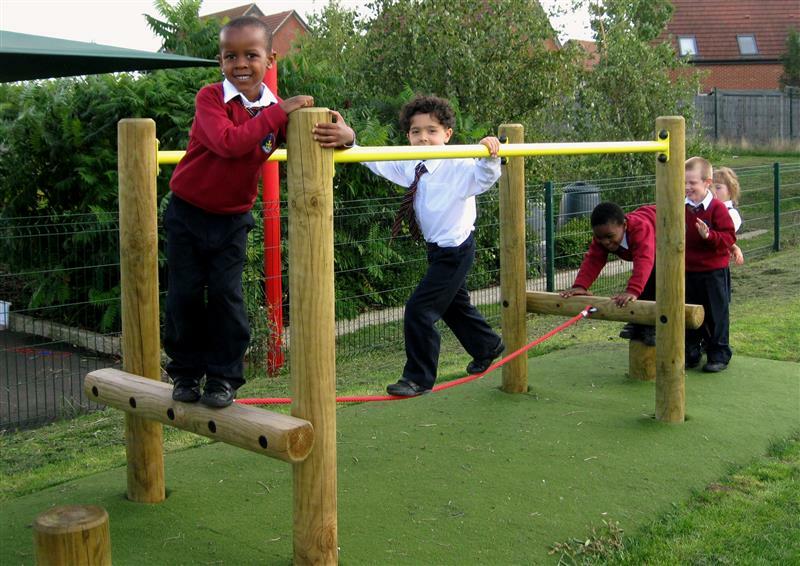 If you need durable and long lasting play equipment for your school or playground, we can help. 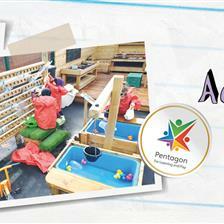 We can custom design playgrounds to meet the needs of students of all ages and abilities. Simply contact us to find out more.